You are asking "What does a slipper clutch do for me?" Well if you have never ridden with a Slipper Clutch you are in for a treat by bolting this on your bike. When doing abrupt downshifts the Takegawa slipper clutch mitigates the back torque and reduces the friction and temporarily disengages your final output drive and transmission (Don't freak out it only does this for a nano-second) just enough to reduce rear wheel hop in its "half-clutch" state. 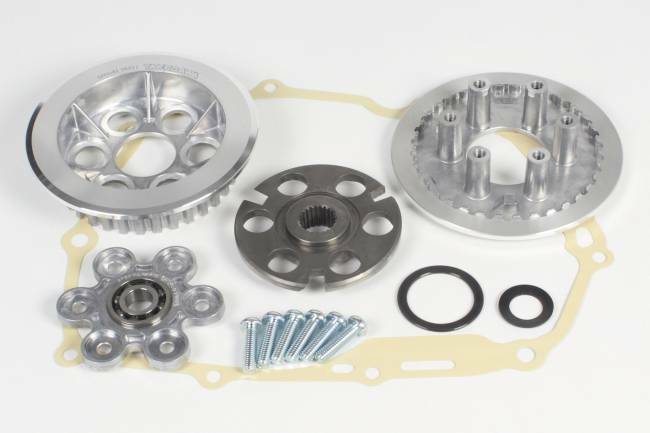 Takegawa Special Parts in Japan makes some really incredible parts and this is no exception, This is a must have for a serious Grom guy or gal! !